Request information on real estate for sale on Lake Diane. 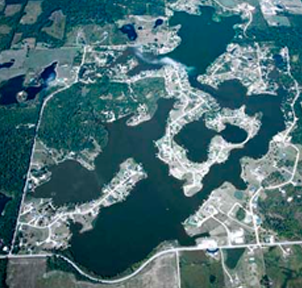 Lake Diane is a 400 acre all sports lake located in southern Hillsdale County. This large, man-made reservoir was created by the construction of a dam on a tributary to Clark Fork Creek. Two natural lakes located on the tributary, Goforth and Hagerman, were inundated when the reservoir was created as part of a real estate venture in 1966. The Lake Diane community has grown into a thriving community consisting of approximately 70% second homes and 30% full time residents. LakeDiane.org is the official website of the Lake Diane Community Association. It is designed to increase the communication between property owners and the board of directors. Where as we try to keep the information as accurate as possible, it is for reference purposes only and not guaranteed. If you have any suggestions for improving the website, please submit them using the contact form on the Contact Us page.